It was a long time coming. This week last year, residents and business owners of Dutchtown got together at City Hall to attend a public hearing to show support for the establishment of a Community Improvement District. This wasn’t by accident. The establishment of the Dutchtown Community Improvement District didn’t occur in a vacuum. In fact it took several years from the initial backyard pow-wow amongst neighbors looking to do something about safety and trash in the neighborhood to the actual drive to get petition signatures. In the end, the Downtown Dutchtown Business Association spearheaded the effort with the help of representatives at SLDC. There were monthly public meetings at places like Crusoe’s, Merb’s, the Feasting Fox, and other local businesses to determine who among the Dutchtownies was willing to pay a little more in taxes to have local control over that money and determine how it would be spent to improve the neighborhood. Once there was a core group of supporters, a map was drawn, re-drawn, and drawn a third time to determine how to balance size, need, revenue generation, and the quantity of absolutely essential owner-occupied supporters. Next came the petition drive and what a drive it was! Dozens of volunteers spent their free time making phone calls, knocking on doors, and tirelessly searching the internet for contact information for out-of-state property owners to ask them to not only sign the petition, but have their signature notarized. It was a tiring process that lasted several months. In the end, the Petition had more than enough support, over 50% of the owners of property and over 50% of the assessed value of property in the footprint of the Community Improvement District. 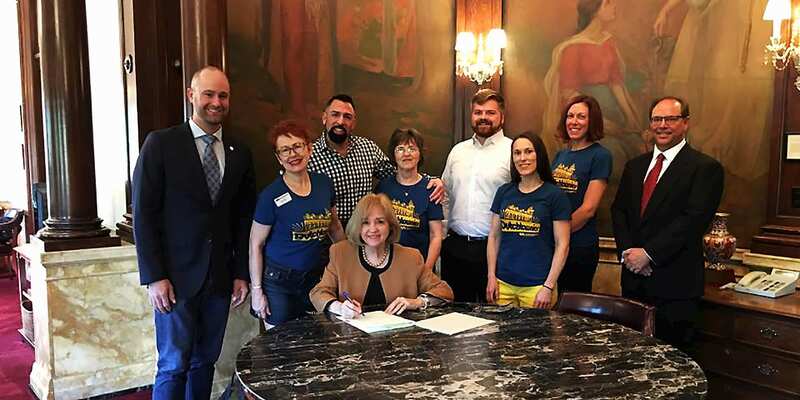 Ultimately, with the support of Alderman Shane Cohn, the Dutchtown CID was officially passed and signed by Mayor Lyda Krewson. 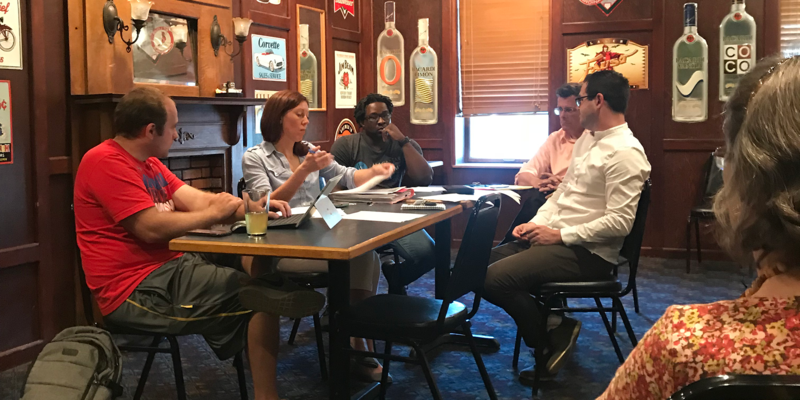 The Dutchtown CID Board of Directors meets at Crusoe’s on May 24th, 2018. Photo by Nate Lindsey. Since passage, the CID Board has been meeting once a month on the third Thursday of each month along with subcommittees made up of CID board members and interested neighbors meeting monthly to discuss security, beautification, and marketing in the neighborhood. Fast forward one year and the first annual budget has been approved by the board which will help fund new trash cans and trash pick, secondary police patrols, and new unified marketing efforts for the Dutchtown neighborhood. To learn more check out the Dutchtown CID Facebook Page and when these changes roll out this summer make sure to snap a photo and send it to us to help share the success! You can learn more about the committees’ functions or view a listing of Dutchtown CID committee and board meetings here on DutchtownSTL.org. This post was updated on December 24, 2018 . Read more news about DT2, Dutchtown, and Dutchtown CID.